Tallahassee Home Values have declined by roughly 33% across the entire market coverage area, but we are seeing the rate of decline slow over the past six months. While I am not certain that this is anything more than a seasonal fluctuation, I’ll take it as some moderately positive news for a housing market that has shown very little positive news in the past few years. Normally, we graph the one-year trend in order to remove all seasonality, but the six month trend often provides insight on the “here and now” view of the market, which is critical information for somebody who is thinking about selling a home. 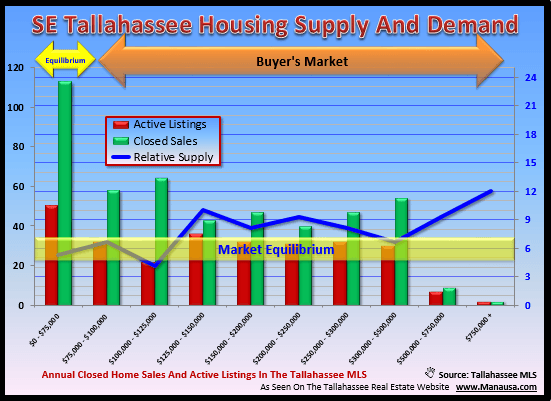 The first real estate graph below shows the six month trend in home values for each quadrant of Tallahassee (Leon County). One trend that is immediately obvious is that east side homes are doing much better than their counterparts on the west side. Northeast Tallahassee home values have declined by 31% since the peak of the housing market, with the average home value in June coming in at $113 per square foot and an average home price of $238,600. You can note that the graph below shows the trend has been dropping for five straight years. 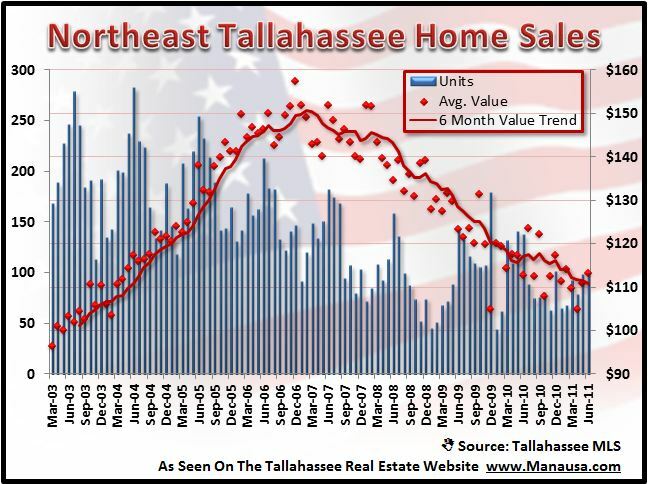 Northwest home values have dropped 52% since the peak of the housing market, and home values in June dropped to $65 per square foot and recorded an average northwest Tallahassee home price of $109,000. Home values in the Southeast have dropped 37% since the peak of the market, and home sales in June showed an average value of $94 per square foot and an average home price of $161,000. 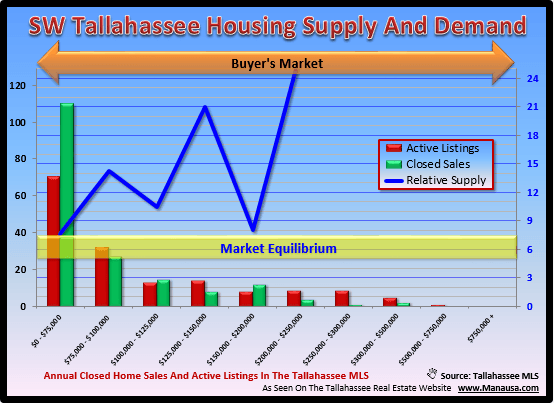 Home values in Southwest Tallahassee are down 52% since the top of the market, with June closings recording an average value of $64 per square foot and an average price of $106,400. This average price is up significantly from the $60K range that the Southwest has been seeing for the past year or so, but that is due to the fact that out of 11 sales in Southwest Tallahassee in June, two were over $200K. The previous $200K sale in the southwest was in June of 2010. The market is weak and home buyers are few. 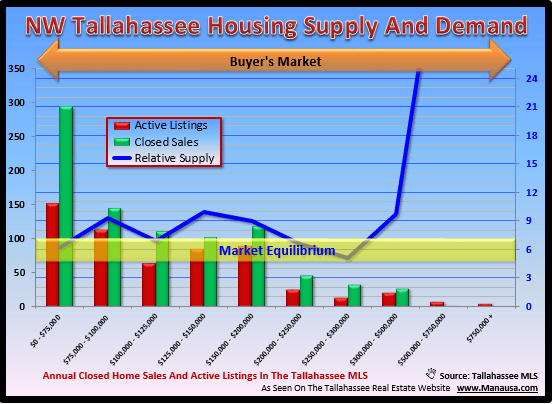 If you have to sell a home in Tallahassee, price it to sell fast. Though we see some value stabilization due to summer seasonality, this most likely will be fading in the coming weeks. Use an aggressive home marketing plan, coupled with the right price, and you can have your home sold before the end of the summer.